Apparently a primary word; mild, that is, (by implication) humble: - meek. Was Jesus 'mild' and 'meek'? Jesus practiced what He preached. If we want to know what 'meek' or 'mild' means we just have to look at Jesus. Jesus overturned tables (Matthew 21) and no one stopped Him! Why? Do this experiment: Go to your local flea market and start overturning tables. See how many you can turn over before you are tackled to the ground. Jesus radiated a power that intimidated people. When the soldiers arrested Jesus He was not scared or intimidated - but they were! Whatever 'mild' means in the verse above, it definitely does not mean you should have a submissive personality and be mediocre. Most people get stuck at the 'meek' part and somehow miss the rest of the verse. The meek will inherit the earth! It does not say 'will one day go to heaven' . The earth is what is here and now - everything you dream and want - being prosperous, happy, healthy. successful, liked and loved. I didn't use to like this verse. Who wants to be weak and submissive. Then the second part of the verse grabbed my attention and now I want this 'meekness'. What is the 'meek' that Jesus talks about? Jesus just upgraded the power of meekness. 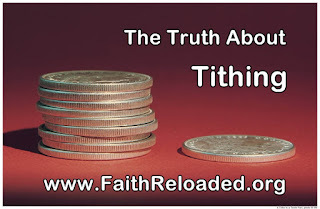 David said you will inherit the 'land' - Jesus said you will inherit the 'earth'! Just like Jesus, David was everything but weak, submissive and mediocre. To understand what this 'meek means we have to read it in context. We will look at Psalm 37 1 - 11 as verse 11 ends with the meek will inherit the land. Don't worry about the bad people - even if it looks like they are winning. 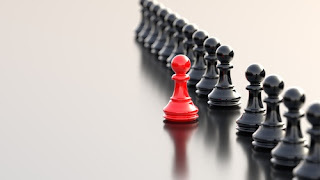 If there is someone doing you wrong - doesn't matter if it is a leader, your boss, a cheating, abusive or controlling partner - don't give them your thoughts and attention. God will deal with them. You just carry on and do good. Note: You should never 'let it go' if someone is abusive towards you of if your partner is cheating. We will get to when its time to take action just now. The point is do not 'fret' about them - don't allow them to take over your thoughts and bring you down. The reason you should not focus on the bad people in your life is that we are what we think and dream. You need to dream big and think positive. God will give you what you dream and think - not what you deserve or what He thinks is best for you. You need to trust God - but that is not enough. You should commit your 'way' to the Lord. What is your 'way'? What is your plan and dream of the future. If you are constantly fighting - you are constantly focusing on your enemy. If you are not busy with your own agenda you are busy with theirs. If you don't learn to relax and be still - you will constantly be stressed and angry. Anger leads to evil and evil leads to destruction. Stress and anger can destroy your health, relationships and cause you to make the wrong decisions. Some people will give the false impression that they are strong - that they are winning. In the long run, it is the 'mild', the 'meek' that win. Someone that is meek (mild) is not wasting their time focusing on bad people. The are positive and dream big - creating their world with what they dream, think and say - yes, you can create your world with thoughts and words (Mark 11:21). Someone that is meek (mild) is not constantly angry but have learned to relax and be still. The unfettered mind is not controlled by external influences. David understood this. When you read the story of David you will see that he had several opportunities to kill Saul (his enemy) but chose not to. On the other hand when it was time to kill - he did - and he was good at it. He had balance. He even told his disciples to buy a sword (Luke 22:36)! When you are meek you are not weak. You have a calm mind and know when it is time to fight and when you need to turn the other cheek. 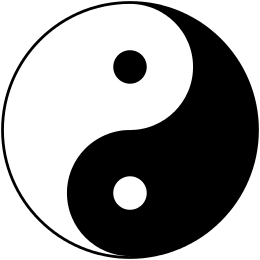 Yin and yang describes how seemingly opposite or contrary forces may actually be complementary, interconnected, and interdependent in the natural world. Examples of yin is feminine, dark, soft, passive, etc. Examples of yang is masculine, light, hard, active, etc. Being 'mild' is having a balance. Knowing when to let go and when to act. When to turn the other cheek and when to draw your sword. If you are all 'yang' (attack) then you are out of balance, heading for disaster. When you are all 'yin' (submissive) you are weak. True power is to have balance, harmony and inner peace. 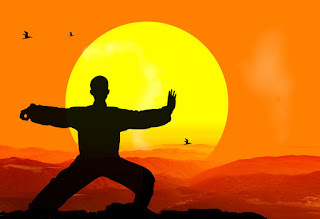 In Tai Chi the purpose of training is to seek peace and harmony. To attach one’s goals to conflict guarantees defeat. The state of emptiness, an internal stillness that exists when the ego and individual emotions are set aside, is a state where there is no enemy. The opponent defeats themselves by the nature of their own attack. You understand your enemy's needs and fears, and deal with them as if they were your own. Active compassion prevents conflict. Normal peace would require both parties to agree to have peace. The peace that Jesus gives us (through His teachings) is different. It is not dependent on your husband or wife, it is not dependent on the school bullies or your business rival. It is an inner peace that is not controlled by external factors but by God. It is a way of life. Being meek is not about being submissive but about going through life not focusing on bad things that people do. Not needing to react every time someone says something you don't like. Not making a scene about every little thing. Being meek is about having inner peace and inner strength. It gives you the freedom to dream and live a positive life. Powerful Point of Sale Software for your restaurant. Inventory management, table selection by floor plan and much more - download your free edition of our Restaurant Software today.